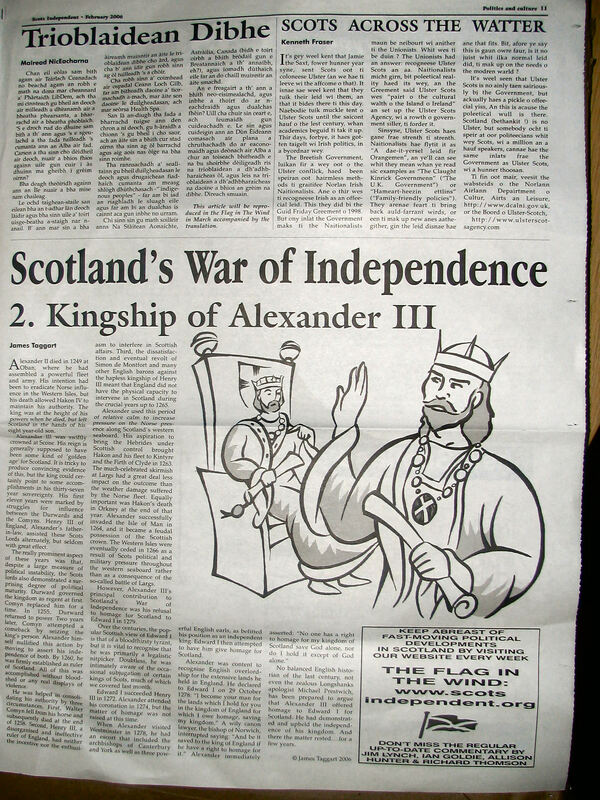 I have thought for some time now that I should place a copy of one issue of the Scots Independent Newspaper on the site as a kind of historical marker. 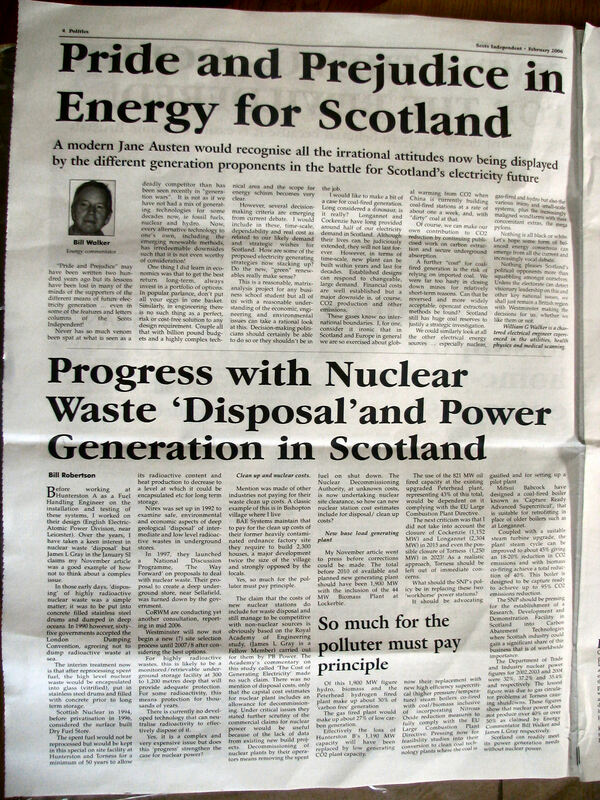 The editor for this issue is Jim Lynch. 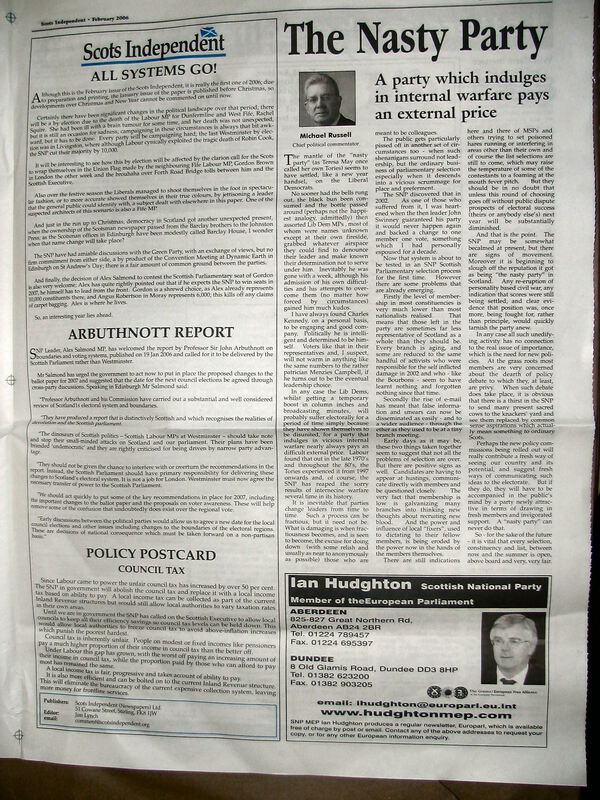 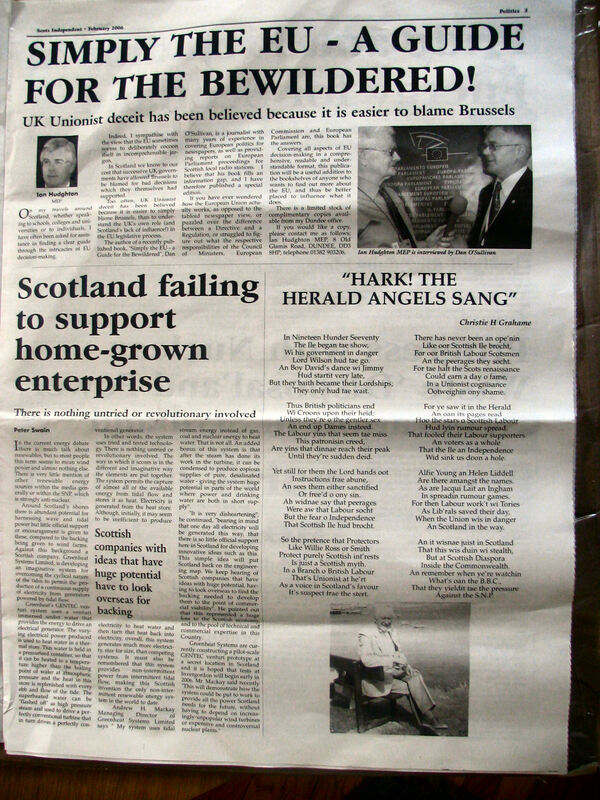 As the paper is too large for me to scan in I photographed each page with my digital camera and while not crisp and clean like the actual newspaper I do think it is readable. 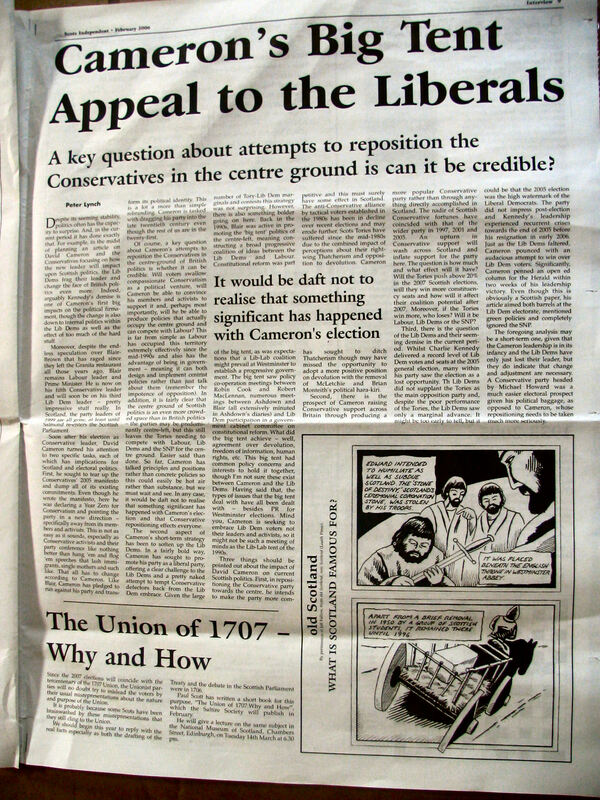 The graphics are of course quite large so you can read the text. 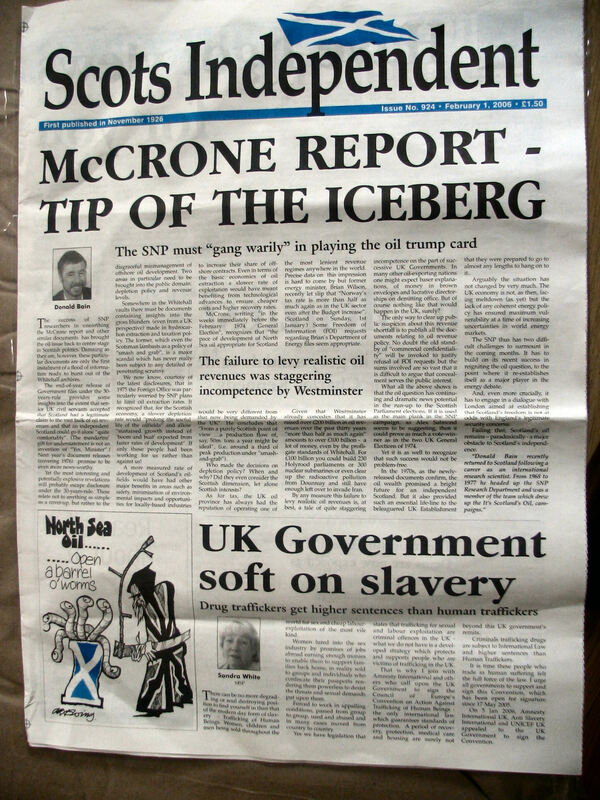 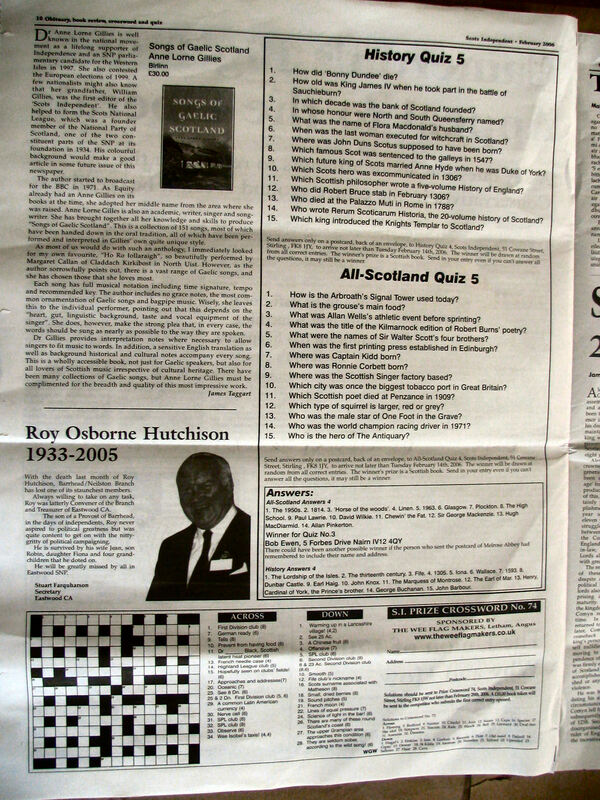 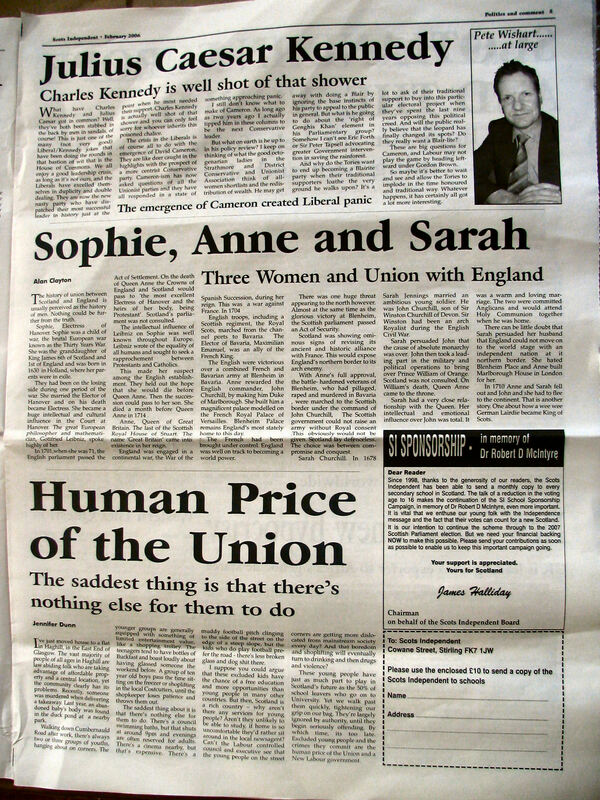 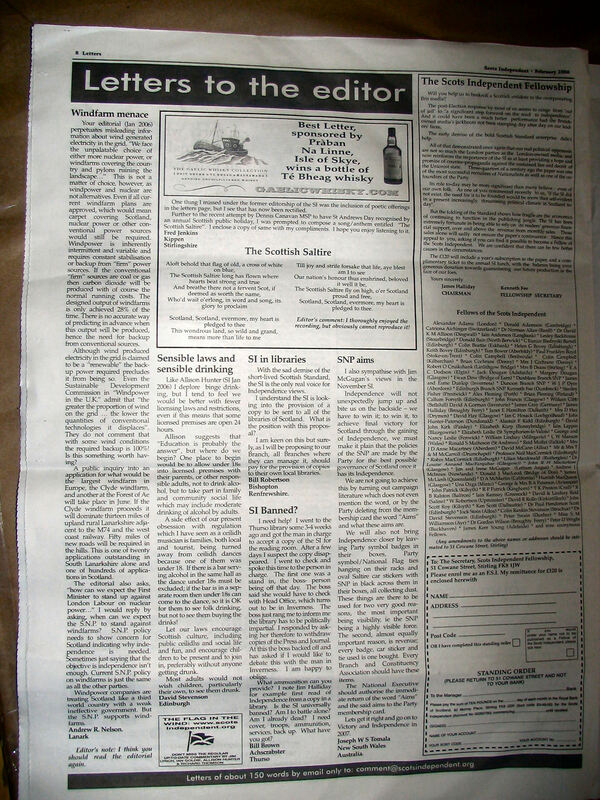 The Scots Independent have their own web site at http://www.scotsindependent.org. 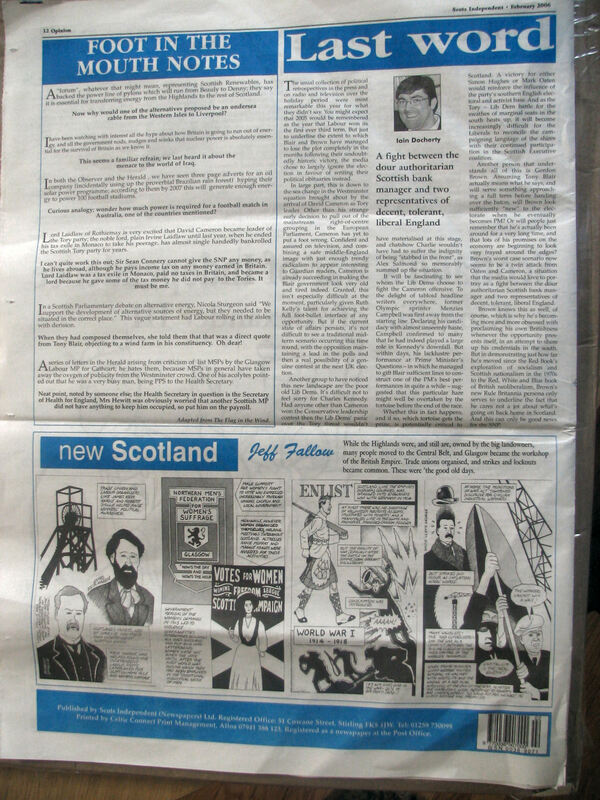 The newspaper is the oldest political newspaper in Scotland seeing its first issue printed in 1926. 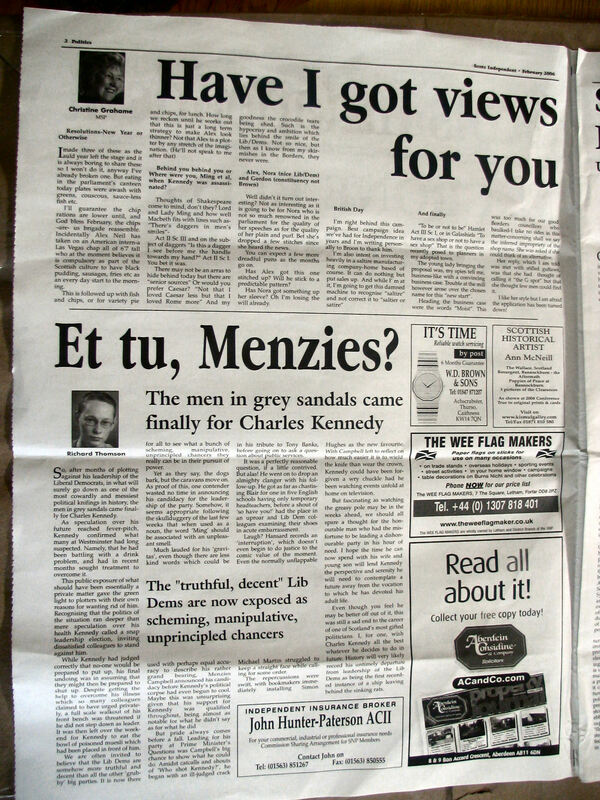 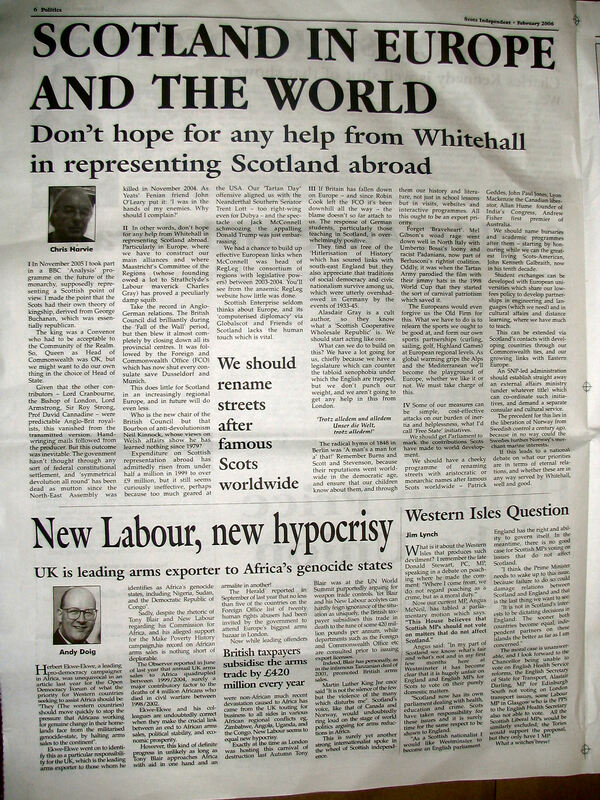 I understand that archives of the newspaper are held at Aberdeen University, Scotland.